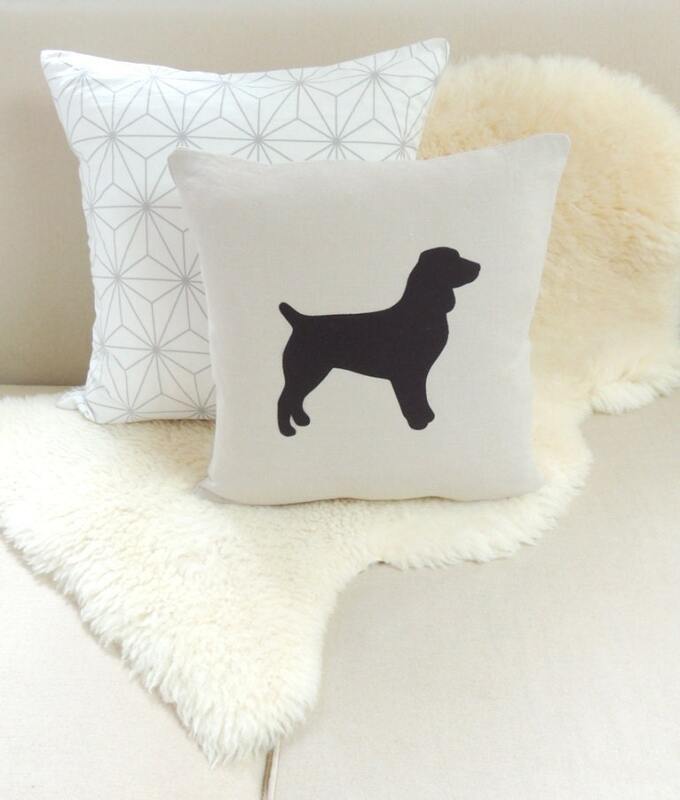 This Boykin Spaniel appliqué pillow cover celebrates your trusty sidekick and adds a chic layer to your interior space in flax beige linen and dark espresso brown. This polished pup is fetching on a sofa, in a chair, propped on a bed, greeting guests on an entryway bench or anywhere else you can imagine. Makes a great gift for the Boykin lover! Customize the background fabric in navy blue, poppy red, light gray, light aqua blue, dark gray, mint green or flax beige linen. Choose the Boykin silhouette in classic black, white, chartreuse, navy blue, grey, charcoal gray, ivory or orange. About the collection....A modern take on traditional appliqué, each pillow cover is an original design, hand-cut and sewn with meticulous attention to detail and quality; no paint, die cut machines or polyester screen prints here. Boykin Spaniel Pillow Cover © Vixen Goods. All rights reserved.